The driving force behind the formation of Dundee Hibernian Football Club, Reilly became the Club's first ever Manager in June 1909. Having previously worked in the jute mills, Reilly started up his own bicycle manufacturing business at the age of 21, and was part of a group of Dundee businessmen who pulled together to form the Club. With no experience as a footballer, he became the Club's secretary/manager, and his determination gained the Club a place in the Scottish League set up. Reilly then went on to build a team who consolidated themselves in Division Two up until the outbreak of the First World War. He guided the Club to their first silverware, winning several local Cup competitions, and lead them to their first national final, the Qualifying Cup in 1913. Handing over management duties to Herbert Dainty in 1915, Reilly remained as Club secretary, but returned to the joint role again in 1917 when Dainty resigned. 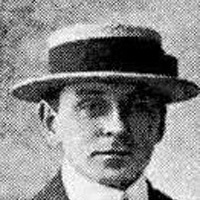 After Herbert Dainty's resignation in 1917, Pat Reilly returned to his joint role as secretary/manager as the Club played in the Eastern League during the First World War. When the War came to an end in 1918, the Scottish League refused to reinstate Division Two and Dundee Hibs continued to compete in the Eastern League, becoming champions in 1920. In 1921, Dundee Hibs returned to Scottish League football, but by finishing second bottom of Division Two they failed to be re-elected for the following season. In 1922, Dundee Hibs were facing severe financial difficulties, and the board - including Reilly - stepped aside so that the Club could take a new direction. Reilly remained a shareholder and an ever present in the stand at Tannadice until his death from pneumonia aged 63 in 1937.